What you consider reality is merely a temporary narrative. You can live by it – for some time – but it is not life. In between stories lies the space of endless possibilities. This is the place where we meet, you and I. My calling is so soft that you might deem it illusive. The sound of evolution is but a whisper of your name. Nothing more. Nothing less either. When you commit to listening, I commit to being the inspiration of anything that can come into existence. 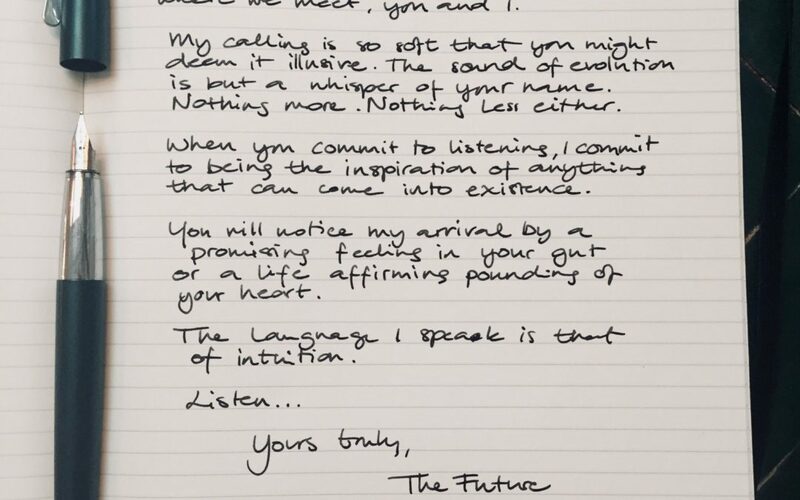 // Letter no.2 from the Dear Future Leader series – an intuitive writing adventure I embarked upon channeling the future for leaders to be.